Michael J. Fox stars as Frank Bannister, a small-town 'ghostbuster' in league with the very spirits he's supposed to be exorcising. The scam works well until a powerful spirit goes on a murderous rampage, forcing Frank to find a way to stop the diabolical ghoul in this special-effects-packed supernatural chiller that's so fiendishly entertaining, it's frightening! $5.565 million on 1669 screens. Back in 1996, who figured it would take Peter Jackson five years to produce another film after that year’s The Frighteners? 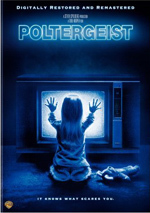 And who figured his next flick would be a huge hit after Frighteners tanked? But that’s what happened, as 2001’s The Lord of the Rings: The Fellowship of the Ring made $314 million, or about $298 million more than the sad $16 million gross of Frighteners. What makes New Line’s $300 million gamble on Jackson more remarkable is that Frighteners was easily the biggest money-grabber of the director’s career through 1996. He made a name critically with 1994’s Heavenly Creatures, but it didn’t earn much money. At least that inexpensive effort may have turned a profit, unlike Frighteners, which barely grossed half of its $30 million budget. So chalk one up for the visionaries at New Line, as they clearly saw something in Jackson not backed up by his track record. Don’t take all of this talk as an indication that Frighteners is an artistic failure, however. While not a consistently satisfying flick, it has its moments and proves more than watchable. Frighteners packs a lot of information into its early moments. Much of the material focuses on “psychic investigator” Frank Bannister (Michael J. Fox). A low-rent ghostbuster, he uses a stable of spooks to help him con folks out of money. This group includes nerdy Stuart (Jim Fyfe), Seventies relic Cyrus (Chi McBride) and western gunslinger “The Judge” (John Astin). Once an architect, Frank lives in an unfinished house he started to build with his wife Debra (Angela Bloomfield) before her untimely demise in a car wreck. This occurred a few years earlier and left Frank with the ability to see ghosts. The quiet town of Fairwater has seen better days, as there’s been a serious rash of deaths lately. These all resemble heart attacks but befall citizens with no signs of disease. We also learn that Fairwater had a dark past, as former hospital orderly Johnny Charles Bartlett (Jake Busey) went on a shooting spree that killed 12 in 1963. His then-15-year-old girlfriend Patricia Ann Bradley (Nicola Cliff) acted as an accomplice. Johnny got the chair, but Patricia was placed in custody until five years earlier, when she was released into her mother’s (Julianna McCarthy) care. There she remains as a 40-something woman (Dee Wallace-Stone). We meet Patricia and her mother when a new doctor comes to check on them. Lucy Lynskey (Trini Alvarado) arrived in Fairwater three months earlier along with her obnoxious yuppie husband Ray (Peter Dobson). Their paths intersect with Frank’s when he accidentally crashes into Ray’s lawn. Frank stages a haunting of the Lynskey home to cover the debts he otherwise can’t pay. During this routine, Frank sees something startling: the number 37 emblazoned on Ray’s forehead. The digits begin to mean something when Ray becomes the next victim of the mysterious heart attacks, and Frank starts to view numbers on others who soon collapse and die. His closeness to the victims causes suspicions among the authorities. They believe Frank may be a killer, and freaky FBI investigator Milton Dammers (Jeffrey Combs) takes over the investigation. In the meantime, Frank gets to know Lucy better and he develops theories about the “Grim Reaper” figure behind the killings. The movie follows these issues and Frank’s attempts to ward off more deaths – including Lucy’s. When I saw Frighteners theatrically, I found it to be eminently forgettable. Perhaps expectations had something to do with this. I recall the movie being touted as a more comedic fare than it actually was. Frighteners much more strongly embraces the horror genre than the Ghostbusters side of things. Sure, it easily qualifies as a dark comedy, but the tone remains creepy and violent much of the time. I didn’t see Frighteners again until I watched the “Director’s Cut” on a laserdisc that arrived in late 1998. At that time, I found the movie to be much more satisfying. That’s partly because the extra 14 minutes or so found in the “Director’s Cut” flesh out the story, but I think it’s also because I knew better what to expect. When taken on its own terms, Frighteners can be reasonably satisfying. However, I don’t want to go nuts here and acclaim Frighteners as some neglected classic. In no way can I consider it anything great, or even especially good. The main issue stems from the fractured narrative and jagged storytelling. Particularly in the first half of the movie, it feels like something of a mess. While Jackson proved able to balance a mix of threads well in the Rings films, here he encounters troubles. All those lines battle for prominence and don’t mesh together terribly well. This leaves us somewhat confused about where the film plans to go and not sure what to care about and what to discard. And this was even worse in the theatrical edition – at least the “Director’s Cut” makes matters more coherent. I still think the first half meanders too much and feels unsure of itself, though; Jackson firms up matters much better in the second half. That occurs partly because he more clearly embraces the horror. The half-assed Ghostbusters bit goes out the window as the movie turns into a battle against an extremely powerful dark agent. The occasionally goofy moment still pops up, but Jackson appears more comfortable when he strictly goes after the scares and action. I’ve now seen Frighteners multiple times. time I check it out, I change my opinion of it. My feelings bounce up and down from mildly negative to moderately pleased to very positive. Right now, I’d count The Frighteners as flawed but intriguing. It can’t tell its story very well, and at times it doesn’t seem sure where it wants to go, but it packs in enough good elements to make it enjoyable. That opinion might change next time I watch it, but currently I still like the flick. The Frighteners appears in an aspect ratio of approximately 2.35:1 on this Blu-ray Disc. The movie often looked quite good, but some issues negatively affected my overall impression. For the most part, sharpness was positive. Unfortunately, noticeable edge haloes cropped up throughout the movie, and those tended to mean that wide shots looked a bit soft and tentative. I discerned no issues with jagged edges or shimmering, and source flaws were minor. I saw a few specks but nothing much. I did get the impression that the transfer used more than a little digital noise reduction, and that left the image with a slightly smooth, waxy appearance. This didn’t reach Predator levels, but it meant the image came across as somewhat unnatural and “digital” at times. I can’t say I anticipated a bright palette from a ghost story, but Frighteners managed to present a surprisingly broad color template. And it did so well, as the hues looked pretty dynamic and lively. Blacks came across as dark and tight, while shadows were smooth and concise. Though much of the image was fine, the digital flaws dropped my grade to “C+” level. Although the DTS-HD MA 5.1 mix of The Frighteners boasted quite a few standout moments, some auditory issues caused problems. Actually, my only true complaint related to bass response, but that area was such a distraction that it sometimes negated the positives. Otherwise, audio quality was solid. Speech always sounded distinctive and natural, with no edginess or other concerns. Effects were accurate and firm. Were it not for the low-end thump that came with so many of those elements, they would have been very good. Music was dynamic and lively; at least the excessive bass didn’t translate to poor reproduction of the score. Frighteners presented a fairly active soundfield. While it didn’t go nuts, the many ghost-related moments gave it room to expand. Those elements zipped and zoomed around the room to create a good sense of the settings. The mix remained more subdued during moments without spirits, but since so many of those occurred, the track came to life quite frequently. Add to that good stereo imaging for the music and this was a satisfying soundfield. The mix as a whole would have been a “B+” or an “A-“ with less oppressive bass, but the overwhelming low-end left it with a “B”. How did the Blu-ray compare to the 2006 DVD release? Audio was a bit smoother, but both discs suffered from excessively loud bass response. That meant the lossless track didn’t offer a big improvement over the DVD’s mix; if the Blu-ray came with more natural bass, I’d feel more pleased with it. Visuals showed decent improvements, though the image didn’t top the DVD as much as I’d like. That’s because it came with some of the same problems connected to edge enhancement and source flaws. However, the Blu-ray was cleaner and better defined; it wasn’t great, but it looked better than the DVD. 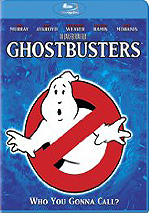 In terms of extras, this release adapts the 2006 DVD – which already adapted the 1998 laserdisc. New to the Blu-ray: we find both the movie’s 1996 theatrical version and its 1998 Director’s Cut on the same disc. The theatrical edition runs 1:49:52, while the Director’s Cut lasts 2:02:36. I already discussed my feelings about theatrical vs. Director’s Cut in the body of my review, so I won’t belabor the point. Suffice it to say I think the longer version is the more satisfying of the pair. For the Director’s Cut, we find an introduction from director Peter Jackson. In this two-minute and 40-second clip, Jackson talks about the film’s influence on Lord of the Rings, its connection to the rest of his career, and changes made for the Director’s Cut. Jackson provides a nice little intro for the film. We hear more from Jackson in his running, screen-specific audio commentary. At the start, the director expresses some anxiety about the prospect of chatting for two hours. He needn’t have worried, as he fills the time well. Jackson covers all the expected issues. He talks about changes made for the “Director’s Cut”, working with the actors, locations and sets, visual effects, story and character points, the movie’s tone and original rating, various trivia and challenges along the way. Jackson proves amiable and informative as he gives us a good look at the production. As I noted, this commentary repeats from the 1998 laserdisc. This fact may irritate some who want a new chat, but I have no complaints about it. For one, it enjoys historical value since it was Jackson’s first-ever commentary and it presents a point of view he could no longer offer. It’s interesting to hear Jackson between films and before he became rich and powerful. In addition, there’s no need to reinvent the wheel. Jackson covered the film well in 1998 – why try to re-do that? Jackson offers commentary along with the drawings, so we learn about changes made for the final product and the reasons for the variations. I like the fact we get all of the boards. While I’m not a big storyboard fan, it’s cool to be able to see every one they created. The inclusion of boards not filmed and Jackson’s commentary makes this a particularly valuable component, though, and means it becomes a very worthwhile element. In addition to the film’s trailer, the set ends with The Making of The Frighteners. This documentary runs three hours, 45 minutes and 54 seconds, and opens with a one-minute, 57-second intro from Jackson, as he lets us know about the LD history of the documentary. From there the show uses the standard format, as we get movie snippets, behind the scenes footage, and interviews. We hear from Jackson, executive producer Robert Zemeckis, creature effects designer Richard Taylor, Weta systems administrator Jon Labrie, CG supervisor Matt Aitken, CG supervisor John Sheils, visual effects supervisor Wes Takahashi, CG supervisors Wayne Stables and Gray Horsfield, character animators Christian Rivers and Kyle Balda, composer Danny Elfman, technical director Stephen Regelous, digital effects producer Charlie McClellan, and actors Jim Fyfe, Trini Alvarado, Michael J. Fox, Chi McBride, John Astin, Jake Busey, Jeffrey Combs, and Dee Wallace Stone. The show goes through the creation of the script and the development of the project, casting and characters, rehearsals, improvisation and additional changes to the screenplay. From there we move through New Zealand locations and making the area look like the US, practical and CG effects and issues related to those areas, ghost and Reaper design, acting challenges and Jackson’s cameo. The program continues with the actors’ stunts and injuries, deleted scenes and characters, miniatures, time pressures due to a release date change, the movie’s score and sound design, the film’s theatrical rating, and final thoughts. Back in its day, LD fans regarded this as a groundbreaking documentary. Now that we’re in this day, it still looks pretty amazing. It certainly qualifies as one of the longest documentaries made to supplement a movie. But size isn’t everything, so it becomes important that “Making” delivers the goods. That it does. We get a terrific feel for the production and receive a great deal of information about all the appropriate areas. We also see many fine shots from the set, elements that come to the spotlight during one 26-minute montage of those pieces. Even the bloopers are pretty good, such as when Fox forgets he’s not making another Back to the Future movie. Combined with the storyboards, this becomes an exhaustive but still very entertaining and engaging piece. The Frighteners provides an erratic flick but a generally entertaining one. While it doesn’t compare to Jackson’s better-known efforts, it has more than enough good moments to make it enjoyable. The Blu-ray offers generally good but flawed picture and audio along with an excellent set of extras. I’m not happy with some of the Blu-ray’s problems, but it still gives us the best rendition of the film to date.